For most of my tattoo advertisements up to this point, I found companies to advertise on me by auctioning off advertising space on Ebay. I thought it was time for a new approach. I decided to start emailing companies to see if they would be interested in advertising on me for life, with a permanent tattoo advertisement. I emailed tons of websites, most did not write back. Some thought it was a cool idea but could not afford it with the economy the way it is. I decided to email a few local companies and see if they might be interested. One of those companies being a night club, which I have been to millions of times. Well maybe not millions of times, let’s just say I had enough vodka, Bacardi and other drinks to last me a lifetime maybe several lifetimes. 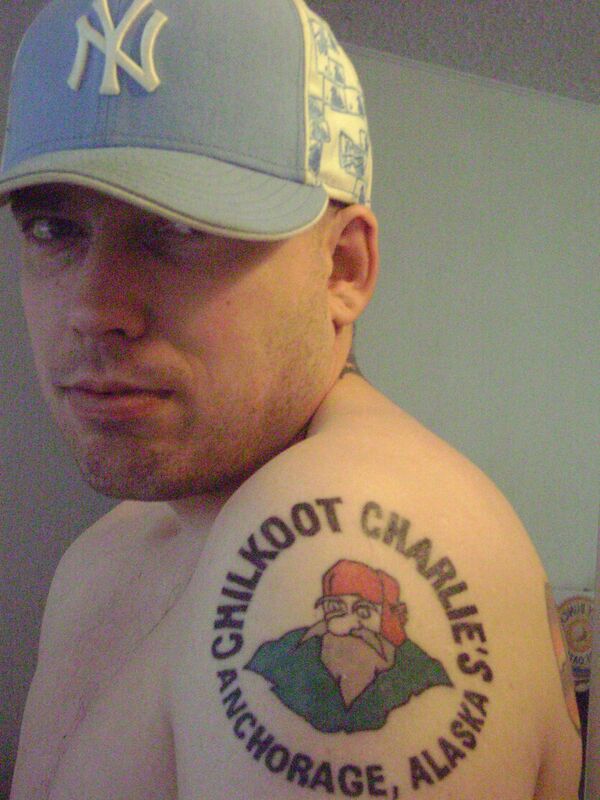 They emailed me back and now I have an awesome tattoo advertisement for the World Famous Chilkoot Charlies. This is currently my only tattoo advertisement that is not a website.